Praised for enchanting the audience with her musical interpretation and style, Clarissa has always had a passion for music. She started playing the violin at age five, and debuted at the Pritzker Pavilion in Chicago in front of ten thousand people when she was nine years old. She has performed at Carnegie Hall in New York, and has given solo recitals and concerts in the United States and Europe. 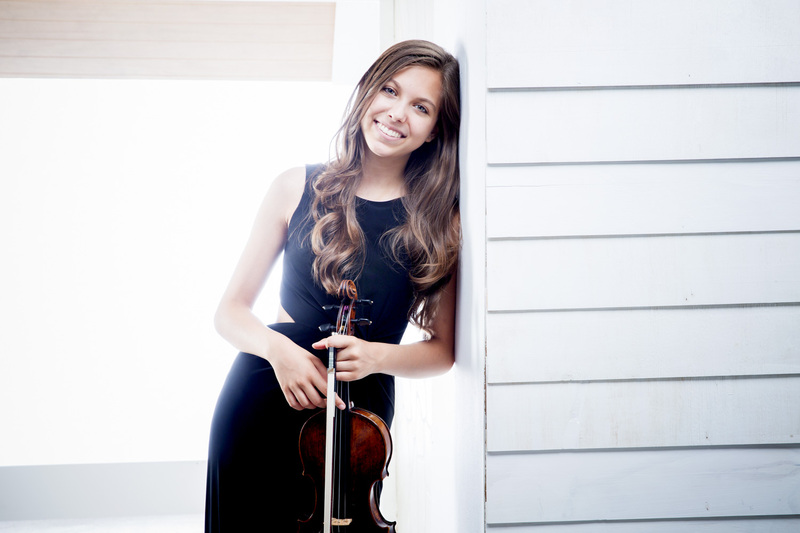 She is the youngest violinist chosen to perform at the Auditorium Arvedi in Cremona with the precious Stradivari collection of the Violin Museum. Backstage at Merriweather Post Pavillion on Wednesday, May 8th at 6pm. “Hear Us” is the extraordinary true story of three young and gifted musicians as they pursue an ambitious goal: to become world famous classical soloists. This true story of passion and dedication, sacrifice and perseverance, is as timely as it is beautiful. These young musicians bravely navigate a world divided by political ideologies and the tensions of clashing civilizations. Please join us at one or both events to see, hear and experience one of the world’s up and coming talents of both stage and now screen!